Junior Sam Andrews attempts a layup. 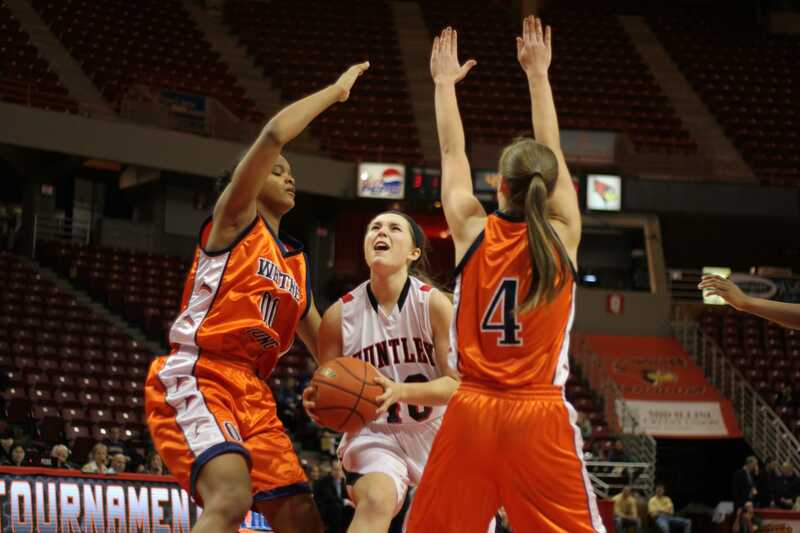 Huntley awoke from its story-tale dream on Saturday night when it collided a vengeance-hungry Whitney Young team in the Class 4A Third-Place Game. Reality struck when the Dolphins dove at Huntley’s offense and converted 24 points off of turnovers. The Raiders (26-8) quickly fell behind All-American Linnae Harper (27 points, eight rebounds) and the Dolphins in a 60-27 defeat, the third-best defensive performance for the Dolphins this season. The Dolphins, who were stunned after being blown out by Rolling Meadows on Friday night, knew they had to enter the game as a poised team. The higher note was out rebounding Huntley and stunning its offense, which only scored nine points in the first quarter. That tone was set by Harper, who will play at the University of Kentucky next fall. 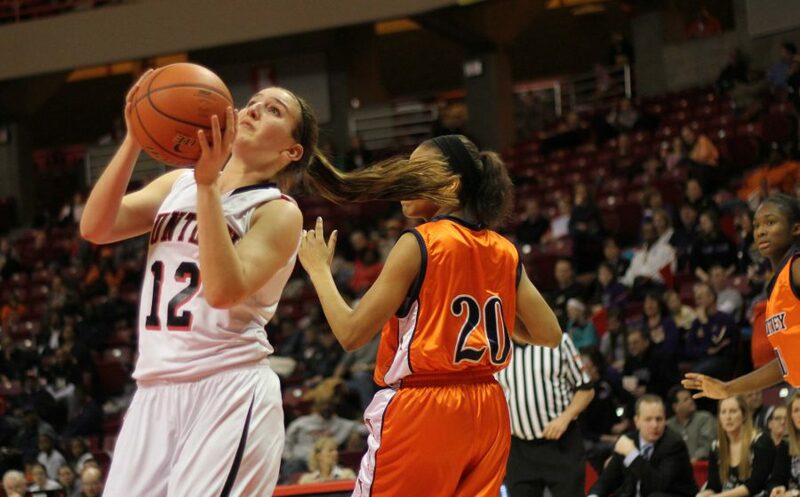 Huntley will hold onto it’s storybook season, though, as it sets a new precedent for its girls basketball program. Concerned members of Raider Nation look onto the game. Raethz stressed that the two losses don’t necessarily mean that Huntley should be disappointed in itself. 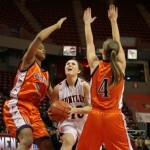 The center of that toughness was senior guard Haley Ream, who emerged from the locker room teary and red-eyed after a bittersweet finish. Ream will be a tough component of Huntley’s unit to replace, but the Raiders return four starters and those players remaining look to exceed expectations once again. Improving is next on Huntley’s list on things to do for next year. After that, it’s replicating the story-tale they told over the past three weeks.